In conversations with aspiring writers and also with people who are just generally interested in the technical details of the self-publishing process, sometimes I hear comments such as, “Gee, you must have had an awfully good computer, with which to write a series as lengthy and involved as The Angel Brings Fire“. It’s an understandable assumption but in fact it’s very far from the truth; consider that most of the great works of fiction in the last century, from Joyce to Orwell to Hemingway to J.R.R. Tolkien to countless others, were done either in handwriting or on primitive, manual typewriters. In my own case, I learned how to type on my late father’s old Underwood, which — though built like the proverbial tank and though “state-of-the-art” for its time — was nothing like a PC word processor. In reality, almost any halfway modern PC would “do” as a platform upon which to launch a self-publishing project (or projects). The real issue isn’t so much what you have to work with (in terms of software and hardware), as it is (a) understanding how to set up and organize in the first place and (b) how you use, whatever you do have. (1.) Flexibility – The system would have to be adaptable to a wide variety of functions, some of which might only become known well after I had started the project. A very important side-consideration, here, is the need for the system not to be encumbered by artificial “anti-features” (for example, software copy protection) that could limit my ability to transition to more sophisticated PC hardware, without abandoning my existing investment in whatever software I had selected. (2.) Standards compliance – The system would have to work with third-party service providers (for example on-line POD publishers) over whom I would have zero influence. Therefore it would be critical for it to maintain “standards compliance”, which is perhaps most easily explained as, “speaking a language that the rest of the computer world expects to hear”. (3.) Reasonable learning curve – When one is writing a novel, the task-at-hand is doing just that… not in spending days or weeks trying to figure out how the word processing or presentation graphics program, works. So even if whatever that I decided to use, was in fact larded with all sorts of “features” irrelevant to fiction-writing, it was important that I be easily able to ignore all the “chrome” and drill down to only the subset of the functions that I needed to employ. The unfortunate fact is, most computer salespeople in the “big box” stores (e.g. Best Buy, Future Shop, department stores, etc.) have, at best, a superficial understanding of how computers really work; for example, 99.9% of them would be completely at a loss, if they were to be asked to install an alternate operating system (see below) on a Windows-based PC. This causes a “blind leading the blind” scenario in which salespeople overcompensate, suggesting that shoppers purchase equipment that is unnecessarily complex and expensive. Furthermore, computer software and hardware is a big business, in which salespeople have a vested interest in “upselling” — that is, inducing one to buy all sorts of things that have best a marginal incremental effect on the system’s responsiveness and usefulness. One classic example of this is the tendency of the “big box” stores to hard-sell shoppers on point-of-sale warranties that are highly profitable for the store, but that are almost worthless to the purchaser. Don’t fall for this one; if your PC is going to fail, it will likely do so in the first 60 or so days, and in most jurisdictions, by consumer protection laws, the dealer has to fix it or refund your money, warranty or no warranty. I didn’t need a PC powerful enough to run the latest 3-D, first person shooter games; I just needed one good enough to run a word processor at acceptable speeds. (The cheaper the better, as it were.) You should be able to get a decent laptop PC, appropriate for writing with, these days, for no more than about $500 U.S. (tax out). A desktop computer will cost you about $150-$200 more, simply because of the cost of the separate monitor, but on the other hand with a desktop you will get a larger editable area (a function of the larger screen size) and a generally more powerful PC. The choice is yours, and don’t forget that a good used PC (if reinstalled with the Ubuntu Linux operating system, see below) in the $200-$300 range would be perfectly acceptable. So with all of the above in mind, what, exactly, did I settle upon? Hardware : ASUS laptop with 3 Gb (gigabytes, or billion bytes) of RAM memory and a dual-core 2.1 GHz (gigahertz, or billion processor cycles per second) CPU. The PC has a 375 Gb hard drive and a 17 inch LCD display (note : the size of the screen is actually the most important of these attributes… get the biggest monitor that you can afford!). The truth is that, up to a certain point, the raw hardware stats (e.g. CPU, RAM, hard drive, etc.) of your computer, are almost the least important factors. Unless you are really strapped for cash (in which case almost anything post-2000 or so, will do), I would suggest acquiring a PC with at least 1 Gb of RAM, a 100 Gb or larger hard drive and (this is important, if you want to attach modern peripherals like printers or external hard drives for file backup), USB 2.0 or 3.0 ports (the more the better… since many external keyboards and mice now only come in USB form factor). I use an external mouse and keyboard, as trying to write prose quickly on the cramped, built-in keyboards and track-pads that are typically supplied with laptop computers (especially “netbooks”, or, even worse, the on-screen pseudo-keyboards found with “tablet” PCs), is a sure-fire recipe for utter frustration. Pay attention to your keyboard and test it out thoroughly, before you set out to write a novel with it. I seriously mean this. The keyboard is the main conduit through which you will transfer the ideas in your head — in other words, the content of your novel — into semi-permanent form, on the computer. It may sound strange to assign such a “low-tech” device, such a high priority in your technology-sourcing project, but trust me… time spent in picking the keyboard that’s right for you, will not be wasted time. Software : I do not use either Microsoft’s Windows operating system or its MS-Office suite of software applications (the best-known of which is the Word, word processing program). From my POV, copy protection of the sort that Microsoft uses with its software is little short of outright fraud. It is completely ineffective against true software pirates, who are always two steps ahead of the game; so the only reasonable conclusion is, it’s really just a form of “planned obsolescence” designed to extort more money out of honest, existing users. Some time ago, I made a conscious decision to move away from proprietary, (and, frequently, very expensive) commercial computer software, in favor of “Open Source” (freeware) software, and I can honestly say that I have never regretted having done so. Only slightly to my surprise did I discover that the quality of Open Source software is arguably even better than that of commercial software, largely because, if a serious problem is discovered in a user-created and user-supported Open Source program, it is usually “patched” (fixed) very quickly by developers (programmers) within the user community. This is absolutely not the case with a great deal of commercial software, since all too often, the manufacturer views fixing serious bugs in “version 1.0” of a product, as an “upsell” opportunity, so as to induce the hapless users of “version 1.0” to “upgrade” (at their own cost) to “version 2.0″… of course, then the bugs in “version 2.0” are discovered, and around and around we go again. Computer users have had to put up with this kind of self-serving manipulation on the part of the software industry, for far too long, unfortunately. The only significant downside to using Open Source products is, because they are “free”, they are sometimes deliberately ignored or denigrated by the conventional software industry, which after all has an interest in pretending that there is no alternative to their own very costly, frequently unstable offerings. 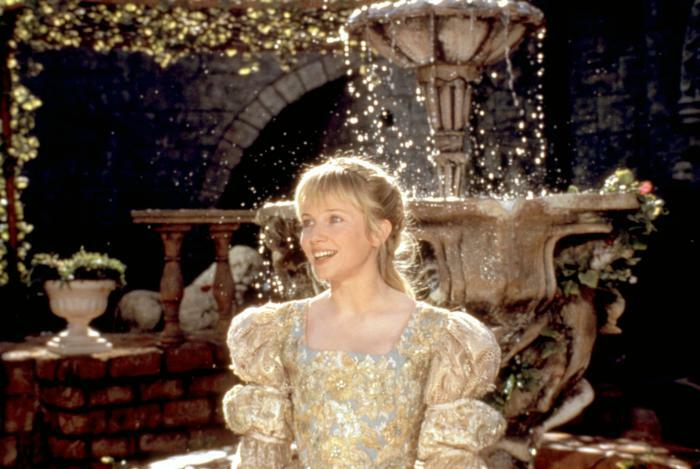 For a writer, where this most often manifests, is when one goes on a POD publisher site and is instructed to use a commercial program such as Microsoft Word or Adobe Photoshop to complete some necessary function, since it’s up to oneself to figure out which Open Source alternative would be the best “fit” to perform the same task. (5.) Computer operating system – Ubuntu Linux v. 10.10 (“Maverick Meerkat”), released October 2010 (note : I have used a number of previous versions of Ubuntu, going back to the 7.x days, as well). This non-Windows, Open Source operating system is probably the easiest of all the versions of Linux for an average user to install, and it is much, much faster, with far lower RAM memory overhead, compared to Microsoft’s Windows 7 or Vista. It’s at least as easy to use as any other computer operating system, including Apple’s excellent (but highly proprietary and expensive) Macintosh series of computers. Furthermore, Ubuntu is completely immune from Windows-environment “malware” (viruses, “worms” and so on) that constantly plague users of Microsoft’s software; you don’t even need an anti-virus program. There is also an offshoot of Ubuntu called “Lubuntu” that (although somewhat more difficult to get up and running), has truly amazingly low memory and CPU requirements, making it the ideal solution for users who have older computers that they don’t want to, or can’t, easily upgrade. You can download Ubuntu Linux, for free, from http://www.ubuntu.com. When you burn the “ISO image” that you so get, to a CD, you can boot your existing Windows PC with the resulting “live CD” and experiment with Ubuntu with absolutely no risk to your incumbent Windows operating system; if you don’t like the free Open Source alternative, simply shut down the PC, remove the live CD and start up Windows again. What have you got to lose, by trying it out? Incidentally, there are fully-functional versions of both OpenOffice and LibreOffice for the Windows operating system, so even if you don’t want to throw out Windows itself, you can still save quite a bit of money by using OpenOffice or LibreOffice under Windows as opposed to shelling out the hundreds of dollars needed to purchase “real” Microsoft Office. Both of the Open and Libre office suites have a very important feature that is completely absent from Microsoft Office, namely, the ability to output to the .pdf or Adobe Acrobat, final document format (this is because Adobe is a bitter competitor to Microsoft in the world of commercial software, so Microsoft is trying to pretend that the .pdf format is not worth supporting… there are also legal issues). One important note here : When using (say) OpenOffice to output to .pdf format, make sure to choose, “PDF/A-1a” format, since this sub-format embeds fonts and incorporates other features that on-line POD publishers almost universally require. I also use the OpenOffice Draw vector graphics program, along with GIMP (see below), to do the covers for The Angel Brings Fire. Here again, the rule is, “select PDF/A-1a”, when exporting to Acrobat format. (7.) Graphics and cover art program -For this I use the Open Source GIMP (GNU Image Manipulation Program) application, which is roughly comparable to Adobe’s Photoshop (although, GIMP does not support Pantone, TruMatch or other print industry precise color matching standards, which is a rather significant disadvantage; however, there is a “dirty trick” that you can use to get sort of the same effect, namely, import a GIMP bitmap color image into OpenOffice Draw, then export it as an Acrobat PDF/A-1a, which will preserve the color properties so that these will look almost the same when printed, as they do on your computer screen). I should note that while it is no more difficult than any comparable “professional-level” computer graphics program, do not be misled into thinking that GIMP (or Photoshop, for that matter), is easy to learn. If you don’t believe me on this, try experimenting with “Layers” or “Alpha Channels”, in either application. There is an old saying that comes to mind here : “just as giving someone with no accounting experience, a computer accounting program, does not make that person an accountant… giving someone with no artistic ability, a program like GIMP, does not make that person an artist; it makes him or her, a non-artist with a graphics program”. (8.) Internet browser – I use a combination of Mozilla Firefox and Google Chrome, primarily because (as I have found out “the hard way”), some POD publishers (whose names sound suspiciously like “C_e_t_s_a_e”) will mysteriously fail to work with one type of browser but will work perfectly well with another… even though there is no valid reason for the one over the other. (9.) E-book distiller – For this task I use a variety of different programs, since, as I have discovered, no single application is perfect for all formats. The most important one is the Open Source Calibre combination distiller and e-Book converter / reader (versions are available for almost every major computer operating system from Windows to Linux to the MacOS), but — unfortunately — while Calibre does an excellent job in most respects, its output of some of the most important formats (for example .mobi for the Amazon Kindle series and, especially, .epub for the Apple iPad / iPhone series), is noticeably inferior to what is created by the on-line conversion tools offered by POD publishers like Amazon and Lulu. The other thing about Calibre is that the quality of its output can vary dramatically, depending on how you set up some very obscure settings that are specific to each format. It’s also worthwhile to download and install every “free” e-Book reader program (Kindle Reader for the PC, Mobipocket Reader, etc.) that you can find, so you can preview what the purely digital versions of your novel will look like. You will quickly see that the rendering of the work differs hugely, depending on the software. This is one of the “rough edges” of e-Book publishing that I would expect to see fixed in the next two to three years. The most important single comment that I can give to technologically unsophisticated authors is, “backup, backup, backup — and never have all your backups on the same physical hard drive”. I cannot stress this factor strongly enough. Physical media — that is, hard drives, USB flash memory keys, CDs, DVDs and so on — will all fail exactly when it’s most inconvenient (say, when you just finished that last, 8-hour editing session). But these days (unlike in the early days of the microcomputer revolution, which I’m <ahem> old enough to remember), storage media, as expressed in “billions of bytes”, is now incredibly cheap; there’s no excuse not to make multiple replicated images of your creative work (e.g. document files, graphics, layouts, etc.). To give you an idea of the relative space requirements, the manuscripts of every major book to make all the world’s best-seller lists in a single year, could easily fit in the same number of megabytes as needed to accommodate a single digital movie. You probably have several such movies on anything like a new PC. So… Q.E.D..
Be aware that you will probably need to create multiple versions of your manuscripts, just to comply with the idiosyncrasies of the major POD publishers; Lulu wants to see it in “this” format, while Createspace requires “that” format and someone else, wants it in yet another guise. To avoid completely losing track of which version or copy is which, think ahead and devise an filing protocol (that is, “which files go in which folders on the hard drive, based on what criteria”), ahead of time. This might not be a major issue if you are only dealing with a single publisher, but even there, it’s still a good idea. Don’t use Microsoft Windows, since it’s by far the most vulnerable consumer-level operating system; either shell out the substantial extra dollars that an Apple MacOS-based PC costs, or install Ubuntu Linux. If you must use Windows, then don’t bother with anything other than Windows 7, which — though it still has many security shortcomings — is far better than anything that Microsoft has previously brought to the market. In dealing with various entities on the Web (everyone to POD publishers to those in charge of blogs such as this one), you will need to establish “credentials” that prove your identity when “authenticating” (logging in to), the corresponding Websites and Web portals. Just remembering which set of user names and passwords correspond to which sites, is a job beyond most of us (including the author), so either write your credentials down on a piece of paper (keep a copy of it off-site, like maybe at work), or, alternatively, use a “pasword vault” application like KePass or Password Safe or Roboform. Do not use the same user name and password for all of the Websites with which you communicate; use a different one for each site, so that in the unfortunate event that someone compromises (steals) your credentials for one site, at least they won’t be able to automatically do so for all the other sites. If you do use one of the “password vault” applications, make sure to back up its database frequently, since if you don’t, if your hard drive dies… need I say more? Moral of the story : Think with your head, not your heart… as difficult as that is to do, when using your computer on the Internet. Anyway, that’s what I used to write The Angel Brings Fire. I hope that you’ve gleaned some new information in reading what’s above, because had I known all of it when I started out, all four (and a half) volumes of the novel would probably have been written, by now! Sam Jacobson : Think of a younger Brian Denehy in Rambo (I) or perhaps (if you took a bit off the gut and got rid of the gray hair) in Cocoon (I). Jacobson is a big and heavy-set guy, but he’s still in good shape… as you will see when you get to Book 4! Brent Boyd : This one’s easy. Think of Keir Dullea in 2001, A Space Odyssey. You don’t even have to imagine a change of uniform for him. Devon White : Another pretty easy one; think of a young Will Smith or Eddie Murphy. Will Smith in Independence Day is almost a perfect fit. Cherie Tanaka : Uh-oh… this one’s quite difficult, since I don’t know of a popular actress who looks a lot like the Mars mission’s Science Officer. I was able to find a picture of a San Franciso-based writer named Joyce Hirohata, who looks eerily like my own conception of this character. Sergei Chkalov : Another one for whom there is a pretty close, pre-existing prototype in the movies; think of Elya Baskin (but when he was in his mid-20s to early -30s, not as he is now) in 2010 or in DeepStar Six. Note : Sergei Chlakov is a little leaner and more muscular than Elya, however. 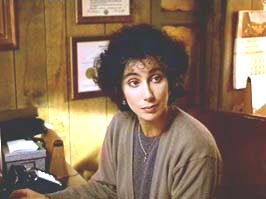 Sylvia Abruzzio : (A minor character in Book 1, but a major one indeed in Books 3 and 4) : Perhaps the easiest of all to visualize; think of Cher in Moonstruck and you’re 99.99% on target. Hector Ramirez : There haven’t been a lot of popular culture characters lately that closely map to my conception of Hector, who, like Sylvia Abruzzio, has a significantly larger role in the later Books than in Books 1 and 2. None the less, a young Benicio Del Toro (maybe add a few years to the face in this picture) will give you an idea of what Hector looks like. 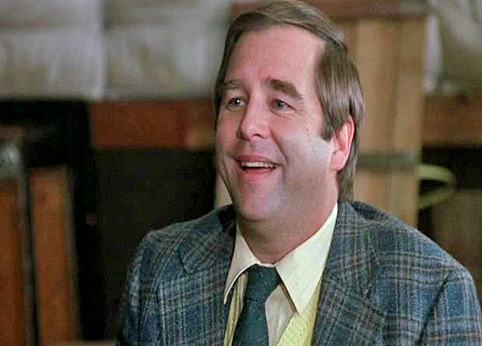 Bob Billings : Think of Beau Bridges in The Fabulous Baker Boys (maybe with a little thinner mane at the top) and you won’t be far off what ol’ Bob looks like. At other times I have pictured Billings like a young Ray Milland or a young Alan Arkin, as well. Whitney Claremont : Margaret Avery in The Color Purple is a pretty close match. Note however that Whitney is not as, uhh, “full-busted” as is Ms. Avery and is generally pretty slim, almost gaunt, overall. Melissa Claremont : A bit challenging because teenage African-American actresses are not individually as well known as some of their non-African-American counterparts; but Kylee Russell when she was about 14, would be a close match for the young Ms. Claremont. 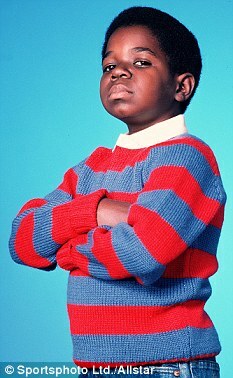 Curtis Claremont : Another easy one — think of Gary Coleman as a kid on Diff’rent Strokes. The only slight dissimilarity is that Curtis’ ‘Momma’ has made sure that his hair is always cut short, almost to the point of him being bald. 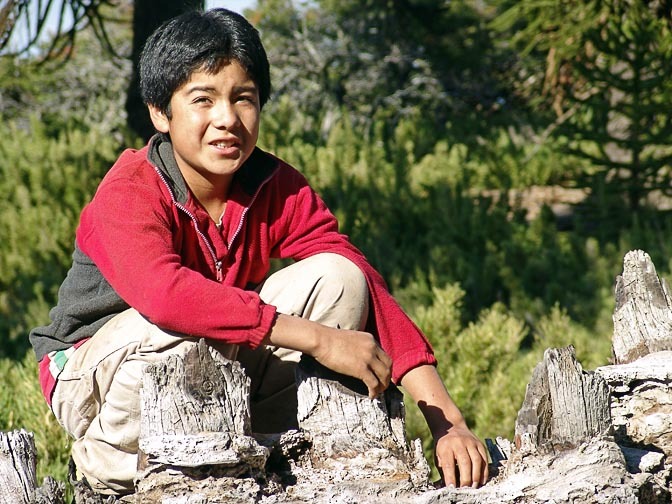 Tommy Singing-Bird George : Really almost any Mexican-American or Native-American boy of about 7 to 10 years of age would do, but this picture is a pretty close facsimile of what the Storied Watcher’s adopted “son”, looks like. Minnie Chu : (Along with the others in her FBI team, a minor character in Book 2 but a major one later on) : She’s a pretty good match for Lucy Liu, earlier in her career. 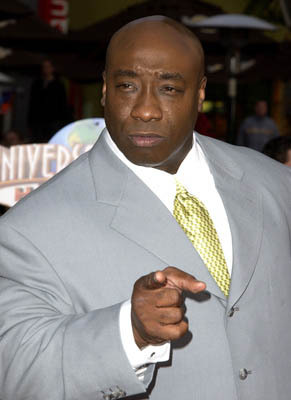 Otis Boatman : This “mountain of a man” FBI agent is almost an exact double of Michael Clarke Duncan. Will Hendricks (a.k.a. the “Third Agent”) : Think of Bill Paxton in Predator 2 (another one of my favorite movies, by the way!) and you’ll get the idea. Finally — Remember, you don’t have to go by what I have described above. By all means, imagine the characters however you want to. There is, however, one caveat to the preceding, and it’s unfortunately a big one : despite my policy that The Angel Brings Fire should not be encumbered by “DRM” (“Digital Rights Management”), I have been receiving reports that attempts to open .EPUB versions of these e-Books in third party computer e-Reader applications (for example the popular “Calibre” program), after they have been downloaded (and paid for) via iTunes, have failed with a “Locked By DRM” (or similar) error message. Needless to say, those to whom this has happened, are the proverbial “unhappy campers”, since they have in effect paid for content that they can’t conveniently access. I have reason to believe that this situation is unique to iTunes and is probably the result of Apple’s highly (ahem) controversial strategy of tightly locking content purchased through iTunes, to only “approved” devices (e.g. iPads, iPhones, iWhatevers). I’d like to re-state to everyone involved, that any application of DRM, or any other similar copy protection for that matter, to The Angel Brings Fire series of e-Books, has not been intentional, on my part : in fact, the opposite has been the case (I have been very careful to avoid “enabling” DRM, where that option has been presented to me). This includes content posted to iTunes, obviously. I am attempting to get in touch with the publishers involved to determine where this “anti-feature” ended up infesting my e-Books, but please be aware, as an individual author, I have very little leverage over the entities involved. So if you find that you cannot effectively use a copy of an Angel Brings Fire series book that you have legitimately paid for, please send me an e-mail and I’ll mail you (or otherwise arrange to send you) an “unprotected” version of whatever volume(s) that you have purchased. And while we’re both at it, let’s raise a collective glass to being “collateral damage in the ‘Internet Piracy’ Wars”. Frankly, the faster that DRM dies the ignominious death that it so richly deserves… well, that won’t be fast enough for me.